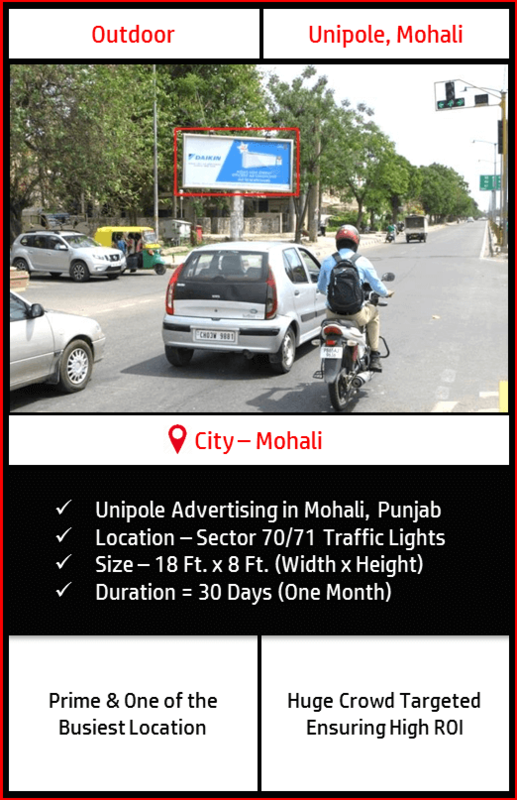 Unipole Outdoor Advertising at Sector 70/71 lights, Mohali, Punjab – One of the most busiest location. Dimensions (Height x Width) 18 Ft. (W) x 8 Ft. (H) = 144 Sq. Ft.